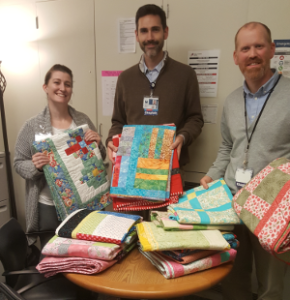 CCQ instructor Diane Leveton snapped this pic of staff members at Emanuel Hospital when she delivered a stack of quilts made by students in our prison quilting program. 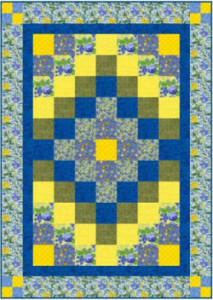 The hospital gives comfort quilts to critically ill patients who are in particular need of extra tender loving care. CCQ also donates quilts to Good Samaritan and Meridian Park Hospitals and to a variety of programs that support people in need of comfort. Each student in our program makes three quilts. 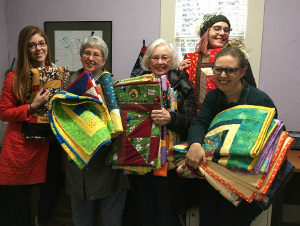 The first two are for donation; students keep their third quilts.